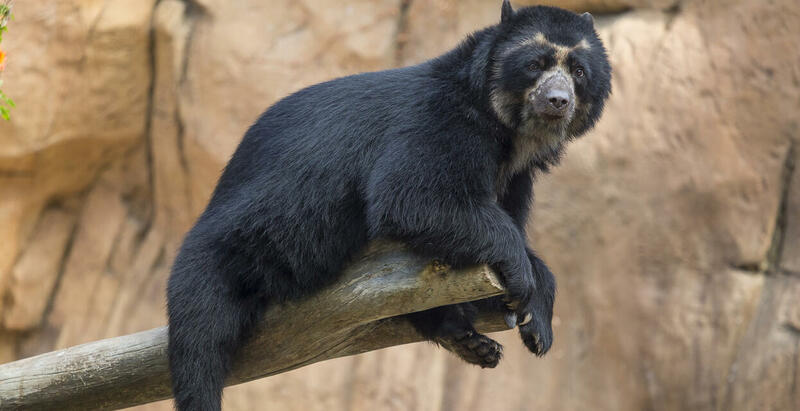 In Peru, we work both in the cloud forest, where most Andean bears (also called spectacled bears) are thought to live, and in the tropical dry forest, an imperiled habitat providing a dramatic and informative contrast to typical bear habitat. Together with our partners, our Recovery Ecology team is documenting Andean bear presence and characterizing critical aspects of bear ecology and behavior. Our goals are to determine not only where these bears live, but also how they interact with their environment and plants in their varied habitats. Now that we are making clear progress in understanding the dry forest-dwelling Andean bears, we are planning to shift our focus to obtain better knowledge of the elusive cloud forest bears. Expanding our understanding of Andean bears is not enough to conserve them or their habitats. Because their key threats are human-generated, we must engage with the people who live within the bears’ range. Our Community Engagement team is collaborating with local schools to engage teachers and students in critical thinking about conservation. To help reduce degradation of dry forest bear habitat, we are working to expand the use of fuel-efficient stoves for cooking. Hopefully, this will reduce the impact of fuel gathering on bear habitat while also decreasing the risk of burns and smoke inhalation in the kitchen, making life healthier for rural families. To enhance future conservation research and planning, we are also providing ecology and habitat management training and mentorship for citizen scientists, technicians, and students inside and outside of Peru. In light of the threats facing Andean bears, this species is managed in zoos as a safety net for dwindling wild populations. This also gives biologists an ideal opportunity to learn more about the species. We are evaluating our zoo-based bears to ensure their welfare and wellbeing, answer a myriad of biological questions about them, and validate noninvasive methods for use in field conservation research. Because communication via olfaction has proven to be an important aspect of breeding other bear species in zoos, including giant pandas, we are opportunistically collecting baseline data and samples to allow research on the sensory ecology of Andean bears.